This off-grid greenhouse uses solar-power and rainwater irrigation to grow tomatoes 50 ft. from Highway 427, minimizing water use and power consumption. A custom rainwater collection, storage and filtration system. was installed to feed an irrigation system throughout the greenhouse. 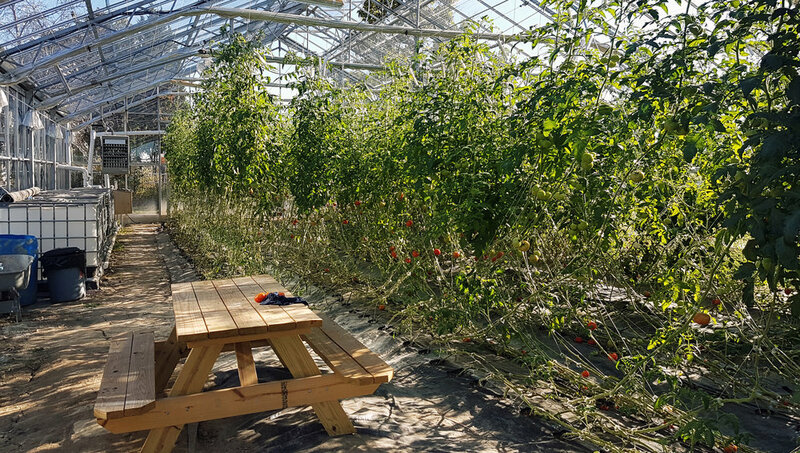 Our staff designed and built the vegetable bed layout in conjunction with Fresh City Farm personale, and installed a heavy-duty trellis system for intensive tomato production. Exterior landscaping to the greenhouse was also provided.